Motorized shading systems like Lutron’s Sivoia, featured here, can provide the important design element of natural light control. The added benefits of privacy and temperature regulation make this stunning, floor-to-ceiling Manhattan skyline view even more impressive. 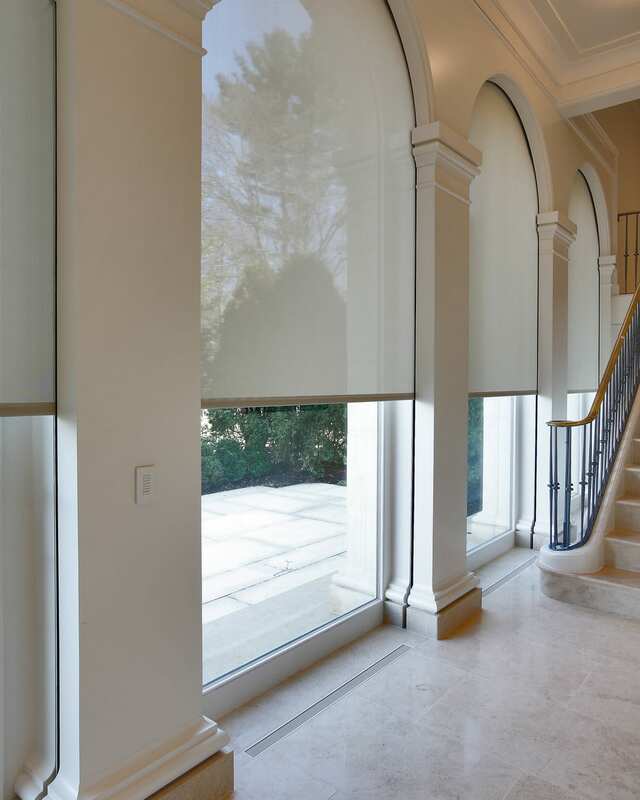 A Savant integrated control system automatically commands the shades in this master bedroom in Westchester County, NY. The shades are programmed to operate in conjunction with the sun’s path; an astronomic clock controls the shade position throughout the day for optimal comfort. Automated Shade Control and Motorized Drapes can be operated individually, or programmed to maximize energy efficiency by controlling heat and light levels throughout your home, year-round. As part of a home automation system, motorized window treatments become an important aesthetic element for every room in the house. 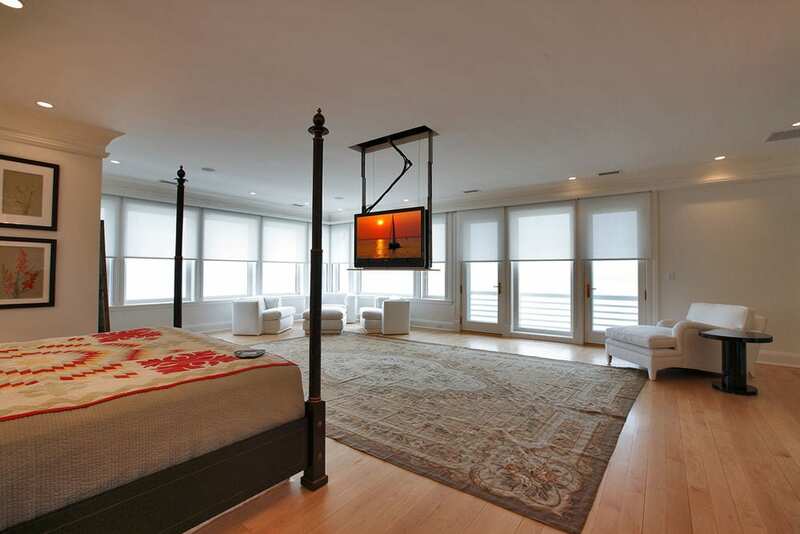 This sprawling master suite takes advantage of the property’s commanding view of Long Island Sound. We installed Sivoia QED sun shades to block out the uncomfortable morning glare, preserving the remarkable waterfront view to enjoy at any time of the day.